Every vehicle has maintenance requirements, that's no secret. One of the most commonly referred to (and often misunderstood) is the tune-up. It used to be that a tune-up was a once-over of your vehicle and everything that needed doing was done. As time went on, fewer components needed regular attention, and a tune-up changed meaning. 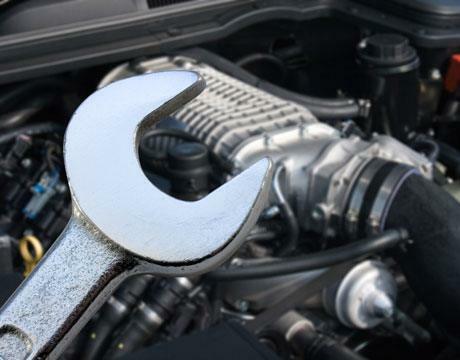 Now, even though less frequent, a tune-up is an important part of your vehicle maintenance. Since 1990, a tune-up has evolved to where it now means spark plug replacement primarily. Along with that comes a thorough inspection to determine what else may need attention. Our ASE-Certified technicians are trained to identify any component that might need to be addressed along with your spark plug replacement. No matter what make or model you drive, Precision Automotive Service is able to perform your tune-up to keep you driving an efficient, peak-performing vehicle. Why choose Precision Automotive Service? To keep your vehicle running at the top of its capabilities, trust your tune-up to Precision Automotive Service in Sacramento. Call us or book an appointment online using the convenient appointment request form. Covers Qualifying Parts and Labor for 24 Months/24,000 Miles. There's no greater peace of mind than knowing you have one less worry by having your vehicles serviced by the professionals. So - no matter where your travels take you - if you ever experience a problem with a covered repair, you can count on a Precision Automotive Service being nearby.